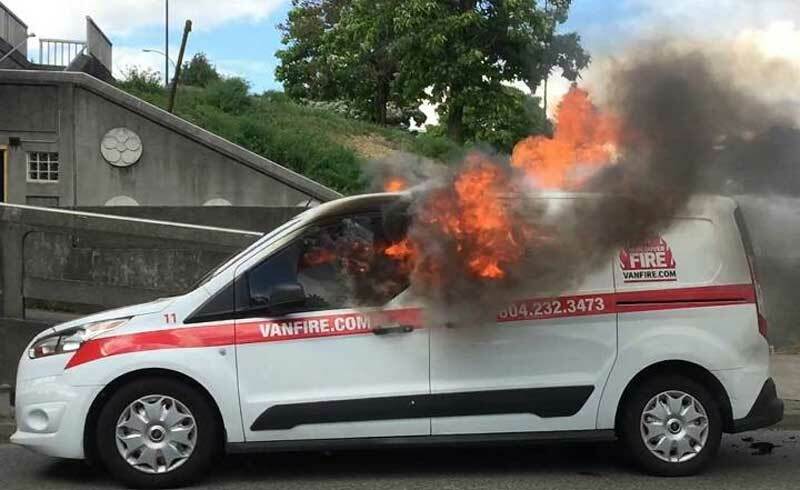 A service van for a fire prevention company burst into flames on a street in Vancouver, Canada, on Monday afternoon. The Vancouver Fire Department said crews responded to a vehicle fire at 4:30pm. They found a vehicle engulfed in flames and managed to quickly contain the blaze. There were no injuries, but the van appears to be a write-off. The van belonged to Vancouver Fire, which describes itself as “B.C.’s largest, longest-established fire protection, fire safety and commercial security and monitoring company.” Investigators are looking into what caused the fire, but it is not considered suspicious at this time.